Oil prices have recovered this year on the heels of numerous, ongoing production disruptions that have reached multi-year highs. 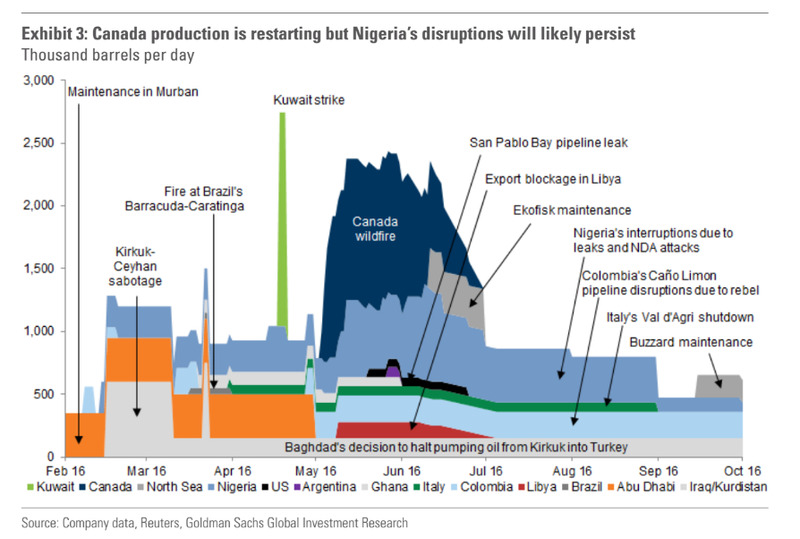 Chief among them: the Niger Delta Avengers hitting pipelines in Nigeria, the Canadian wildfires, the Kuwait strike, and even Venezuela. 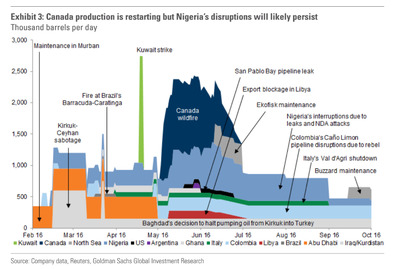 To show the scale of all of these outages, a team at Goldman Sachs led by Damien Courvalin put together a handy chart, which you can see below. “Despite the rise in disruptions over the past month, we believe that the market is not yet in a deficit as we continue to see upside surprises to production elsewhere,” the team argued in note.